Well, just out of bed and sitting with the coffee and I think I will fill my 999 Galway before reading. 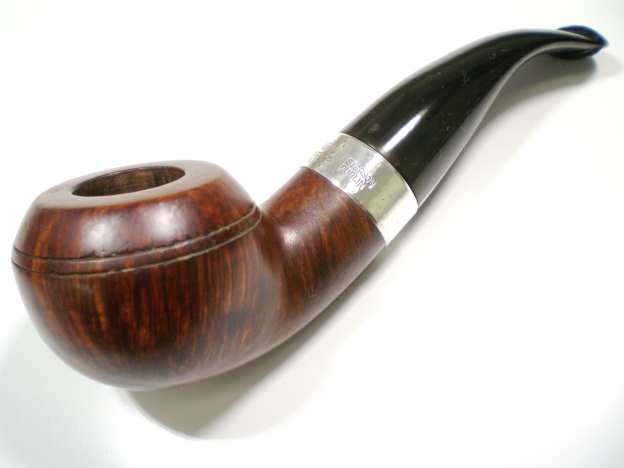 I only have one more in that shape, a Shamrock with fine grain and only one fill. 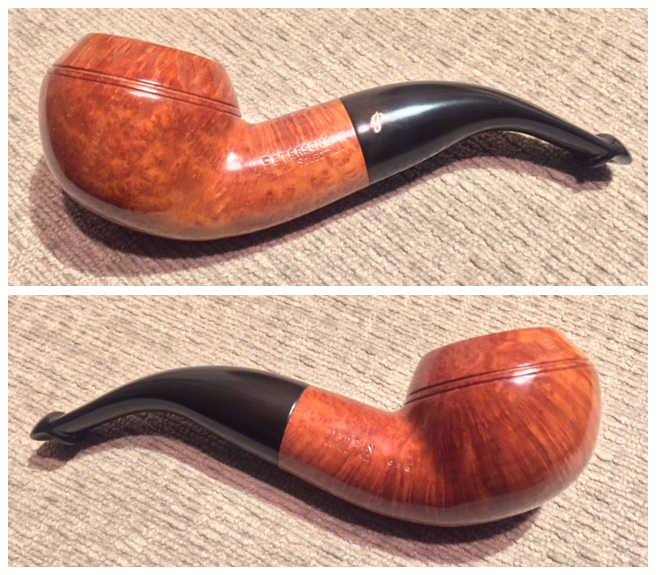 Got it some 30 years ago for Kr 70 and it is still waiting to be smoked. Could this be the day? Thank you Mark. And yes, Al is the GBD man. So Jorgen, just to be nosy–did you smoke that Shamrock? thanks for the compliment! you are really kind. of course I also love your blog !! This is a rarity: my 999 Kapp-Royal Spigot!! Kinski, great pipe! And I really enjoy your blog. I just visited one of your recommendations–Rizzi. 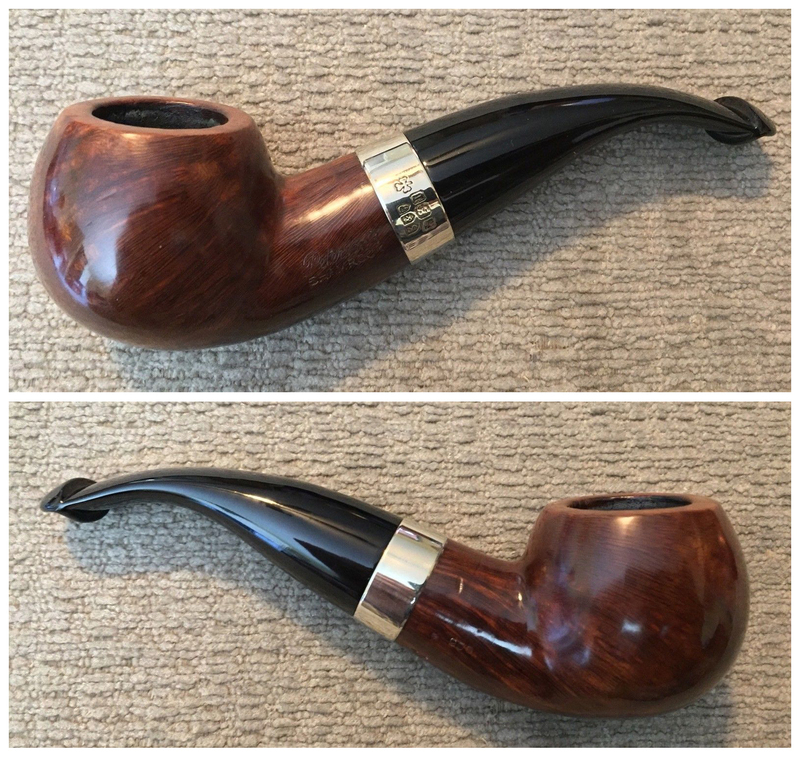 Some astounding Peterson pipes there! Glad you enjoyed it, Tom! 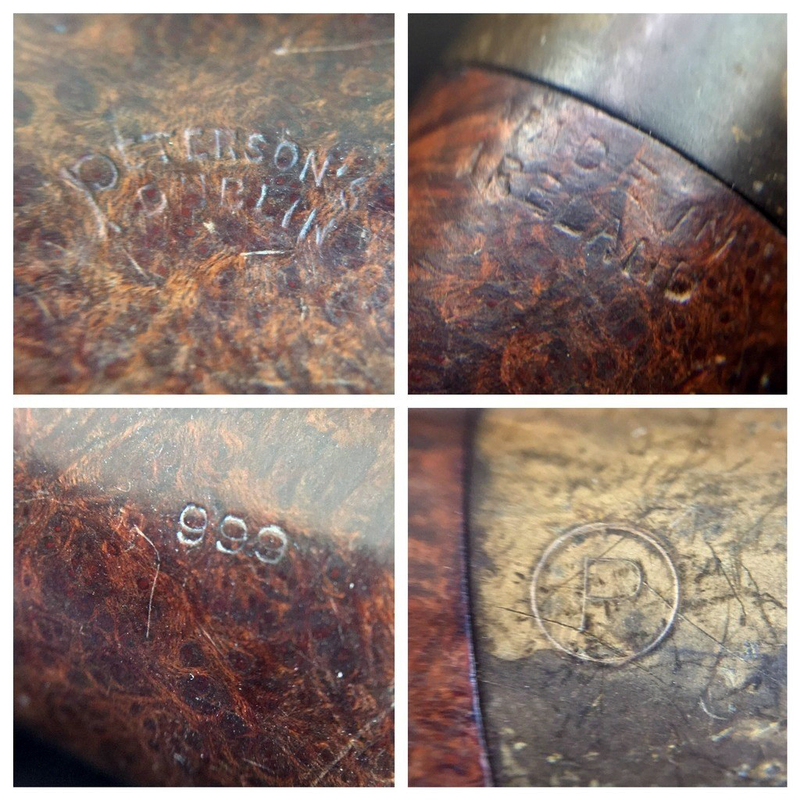 Very interesting piece on Peterson 999 history. 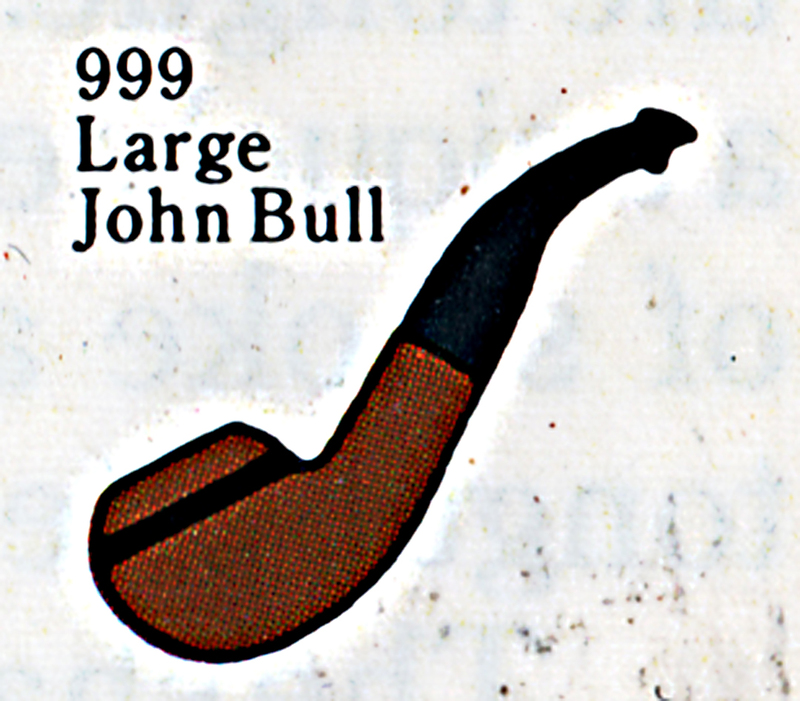 It is a favourite shape of mine and I particularly like the John Bull. Thanks Mark for this write up. Well done. Thank you, Steve, and thanks for the reposting. I have picked up several readers thanks to your good self, and I do appreciate them. Hoping to read another chapter about my favorite priest, Father Tom, in the not-too-distant future. Well done Mark! 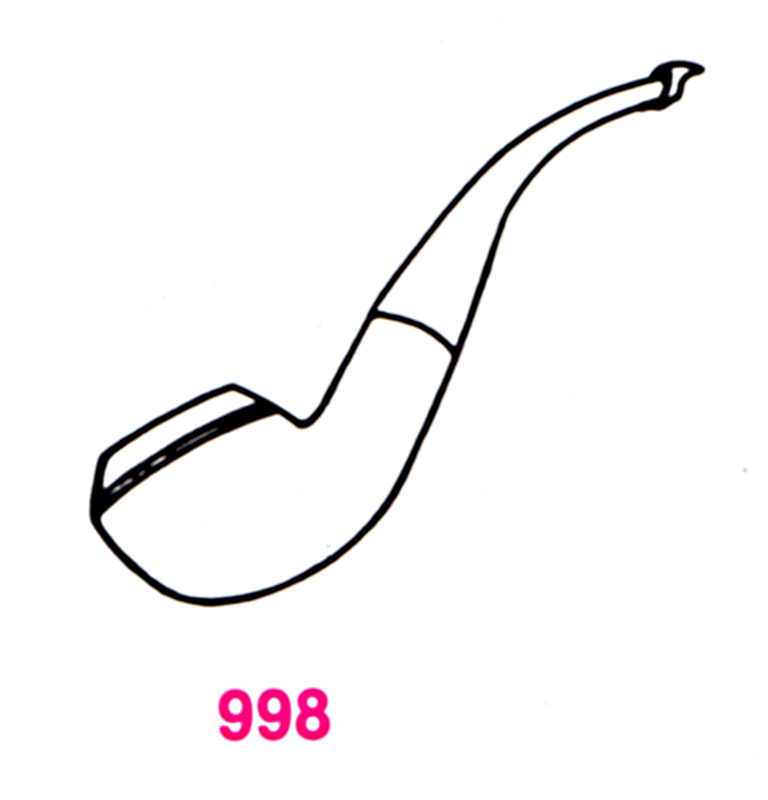 Like GBD, I love how the 999 shape evolved and changed over time. I should note thay my 999 Sterling came courtesy of Steve, or “Mr. 999” as we should call him! My other 999 is a Deluxe with stacked “Made in Ireland” stamping. It is slightly larger on all measurements than the Sterling, and weighs six grams more. I am not a bit surprised you should have a 999 DeLuxe, Al. I do believe you are as passionate about the shape as I am about the 4 / 309. Interesting about the measurements as well! I wonder whether some of the size measurements weren’t do to which factory the bowl was turned? What I mean is that Peterson in the 1940s and 50s and early 60s could have turned the bowl in Dublin, had it turned for them in France, or (if so stamped) turned in England. My English 309 from the 1950s is enough different to be noticeable. 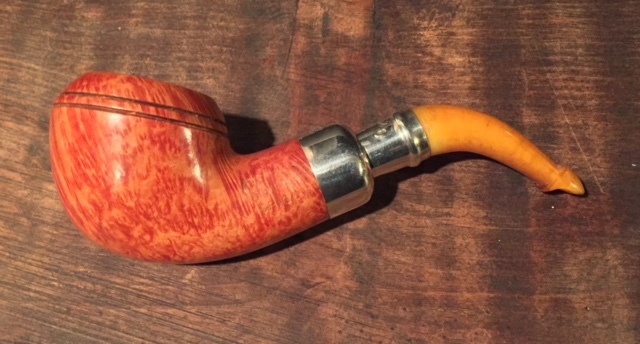 A handsome pipe. 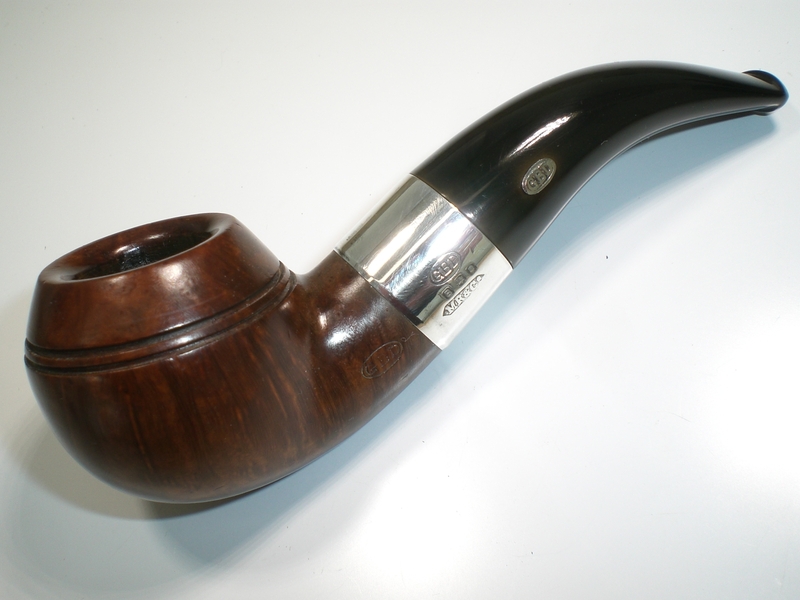 I have a GBD City de Luxe with similar bowl but supporting a saddle stem. I’ve wondered about getting another, tapered stem as I think it would look much better. 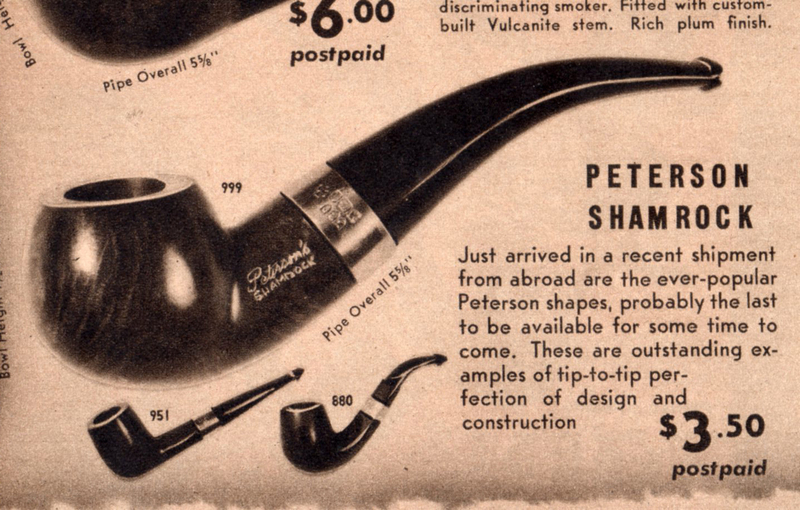 I like the chunkinees of this Peterson model and the range of pipes in the photo looks fabulous. 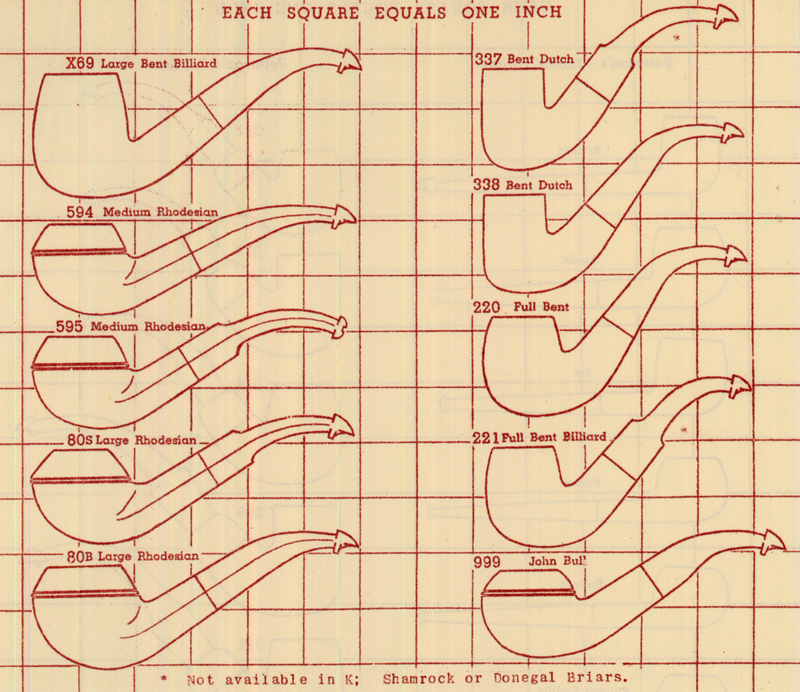 I would go for a straight or fishtail mouthpiece, though, if I could have a choice. Appreciate the article. 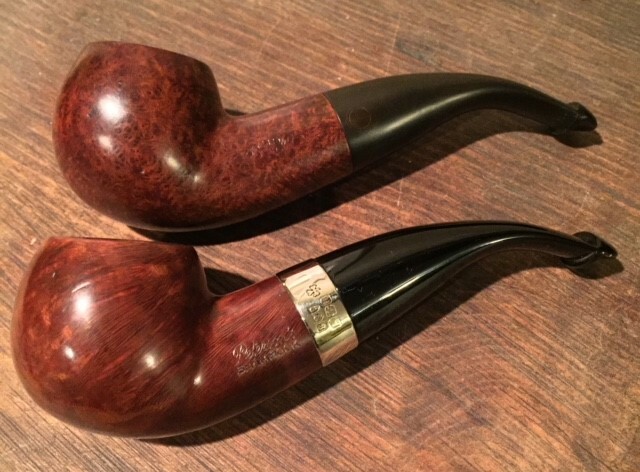 I’m learning a great deal about these pipes! Thank you. You’re exactly right. Steve has decided to sell his collection. 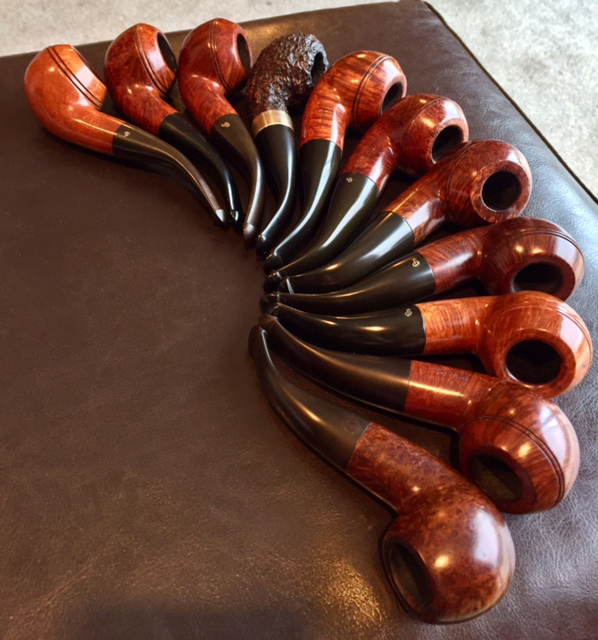 I didn’t want to announce it beforehand, because I had offered to post the available pipes on the blog. I’m going to add a few of his ebay photos as a revision to this post in a day or two, as a matter of fact! Here is an interesting specimen. A 998 Donegal Rocky (sterling) from 1974. How would that 998 compare to today’s 999? I’ve looked at the measurements of today’s 999 Donegal Rocky on the same website. 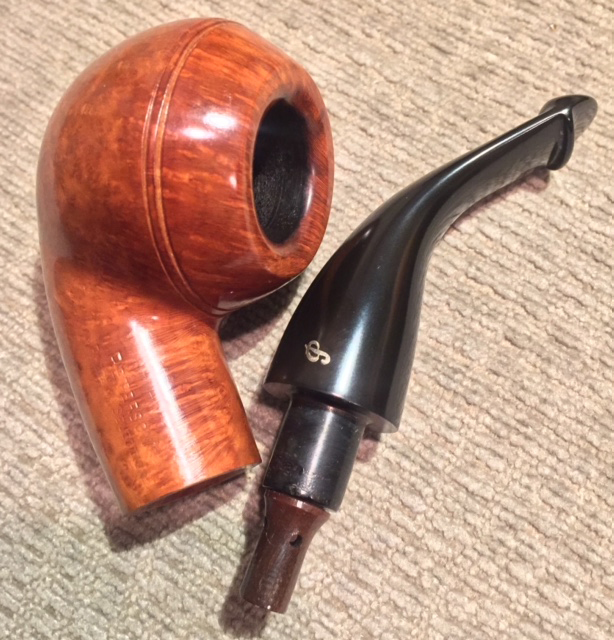 The older pipe is definitely smaller. Unless I misunderstand what I’m reading above, they should be about the same. Also, that 1974 Donegal has what might be a single beading (as opposed to either none, or the more typical double beading). It’s difficult to tell from the 2 photos whether or not that second line is there, given the rocky (hence the name) finish. In any case, I just thought I would post this, since it might interest 998/999 collectors out there. Hi David, good eye, sir. Yes, that 1974 998 should be the equivalent of today’s 999. The beading on the Donegals I’ve seen is either absent, or single, as in this photo. 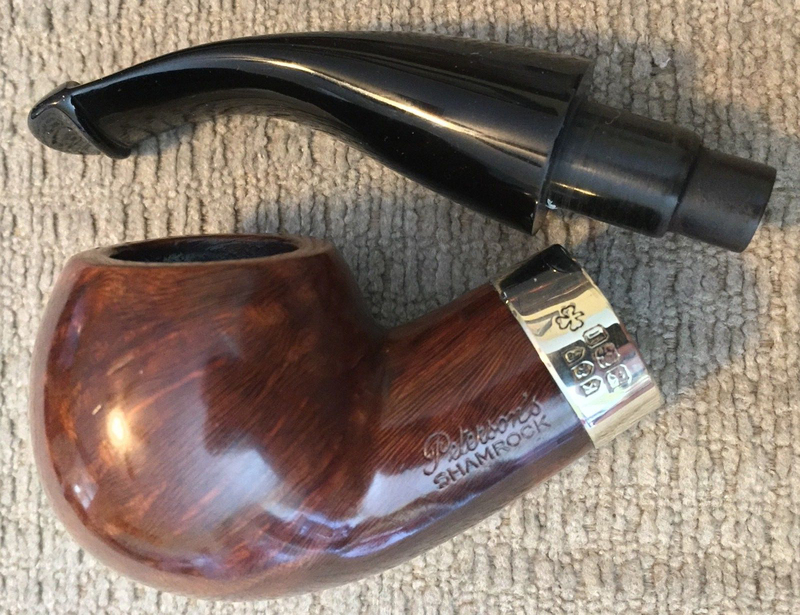 The more I look at that photo, the more I think it’s the old 999 John Bull bowl that’s been blasted and fit to the tapered, slender stem of the typical 998 / 3rd gen 999. 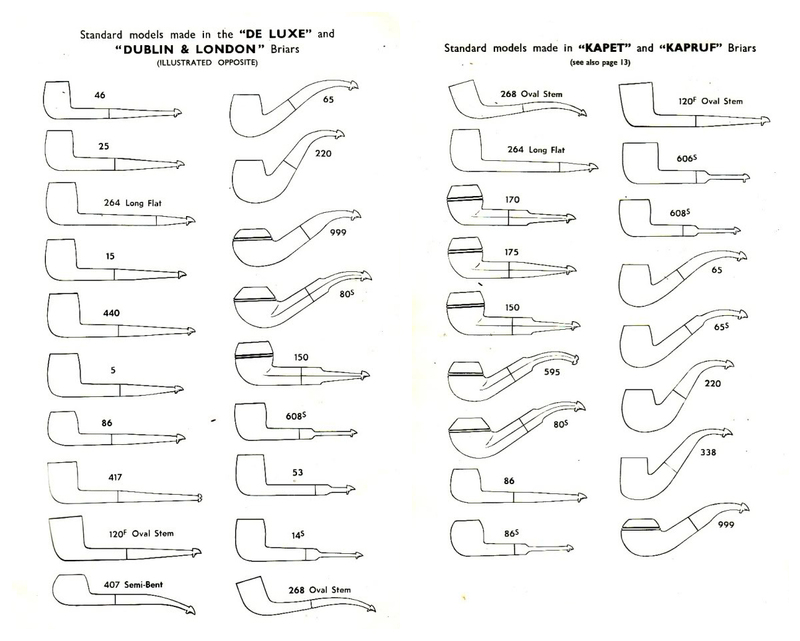 It would be helpful, as always, to have the pipes on the table and do a real-life visual comparison.